I’ve Fallen Behind, I’d Better Ketchup | Food It Yourself! As I mentioned previously a huge quantity of tomatoes currently emanate from the Food It Yourself garden. What’s a DIYeter to do with such a bounty? Fresh, ripe tomatoes are a highly perishable commodity. Thankfully, tomatoes and many other delicate foods can be “put by” as our great grandmothers said. All it takes is a little know how, a few ingredients (besides your home grown bounty), and some equipment. Also, in an ideal world, you’ll have a friend to help you. 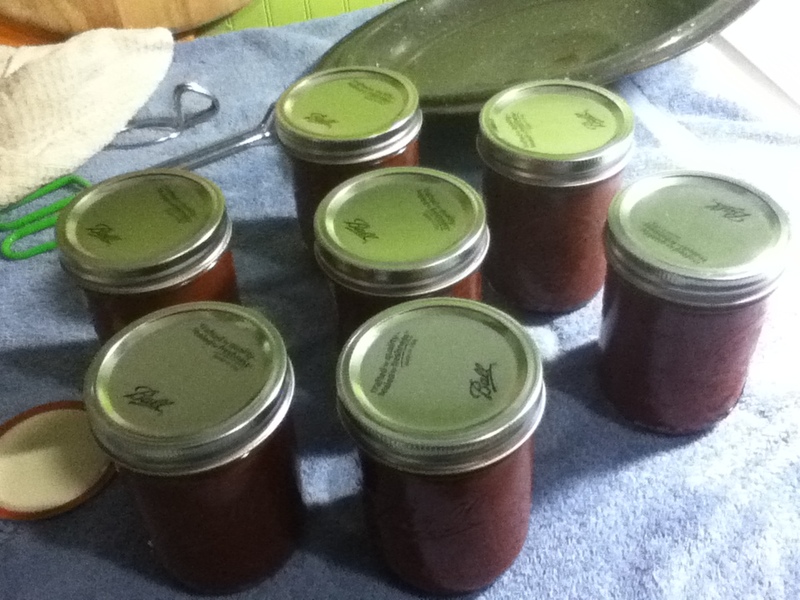 I’m talking about canning: putting food into those trendy mason jars, processing it with heat, and storing it at room temperature for up to a year. I could write pages about keeping things clean and sanitary, inspecting your jars and lids prior to starting, and carefully following tested recipes. However, the USDA has put all that information together already on their National Center for Home Food Preservation web site. 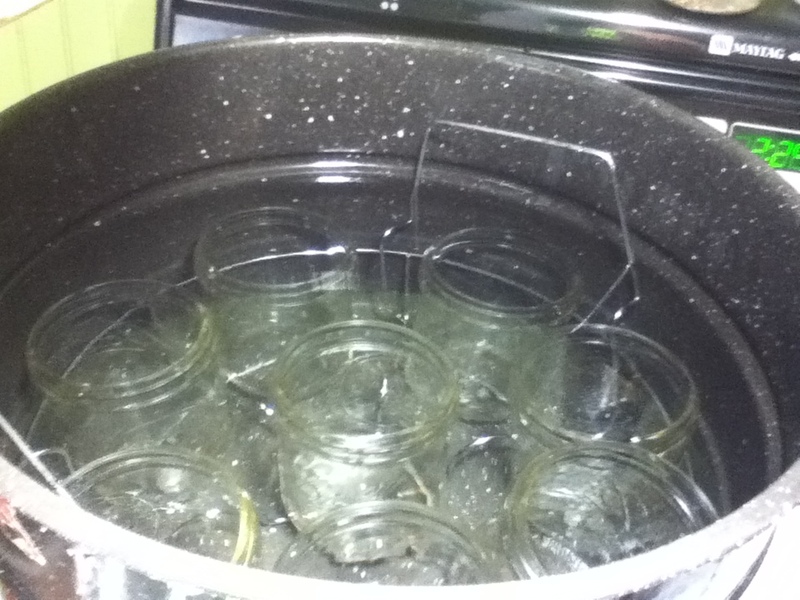 I will, however, share these tips from my own canning experiences. A hot jar is a sanitary jar. As noted above, you’ll probably want a second set of hands to help you. Preparing your ingredients can be time consuming and it is much more enjoyable if you share the load. Also, some recipes require precise timing at certain points. Having an extra set of eyes on the clock can be very helpful, too. Give yourself lots of time. There are no fast canning recipes. It takes time to sanitize your tools and sterilize your product. Do not rush the process. Pick recipes you like. The investment of time and effort in canned goods is substantial. If you don’t like raspberries do not bother making raspberry jam, (unless you have friends to whom you can give it). If you are an experienced canner, look for new information to this traditional skill. 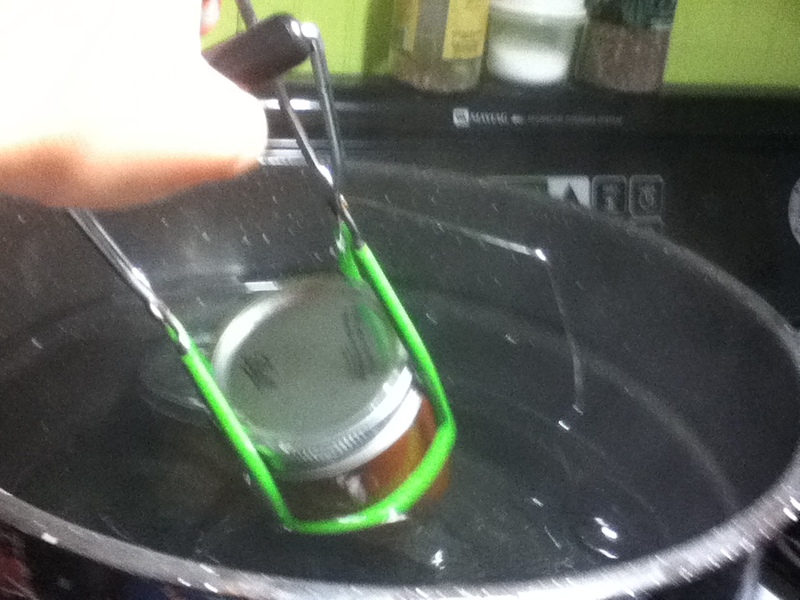 Since forever, the recommendation has been to boil your canning lids to sterilize them prior to filling your jars. Many new jar lids are Bisphenol A (PBA) free. The new polymers on the lids can thin out if they are boiled too long, leading to seal failure and food spoilage. From now on the lids should be washed in warm soapy water and held in hot water. They will sterilize just fine during processing. Get the whole scoop on this important topic here on the Living Homegrown Blog. 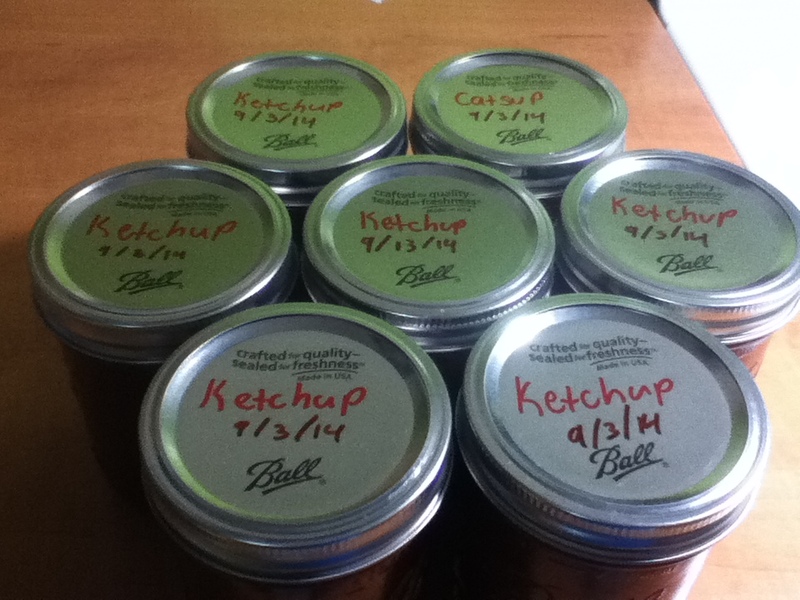 Here is a pictorial of my most recent canning project- turning 24lb of my tomatoes into 7 pints of ketchup. That’s right. 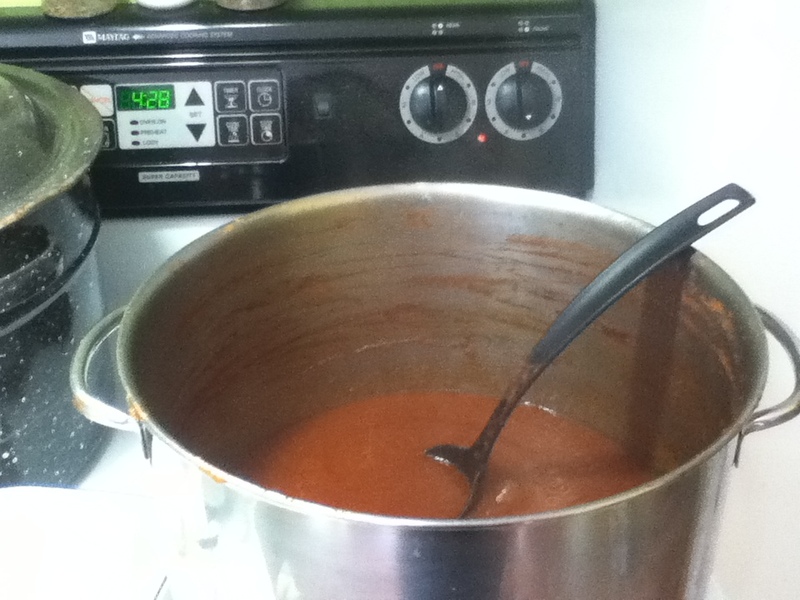 Since I missed last week’s blog entry this one is two sided-I’m trying to get you consider canning and I’m removing ketchup from my Stock Pot List. I’d like to thank my mother, the Granite Fairy, for not only helping me to prepare the recipe but also for lending me her canning kettle and large stock pot for cooking up the tomatoes. 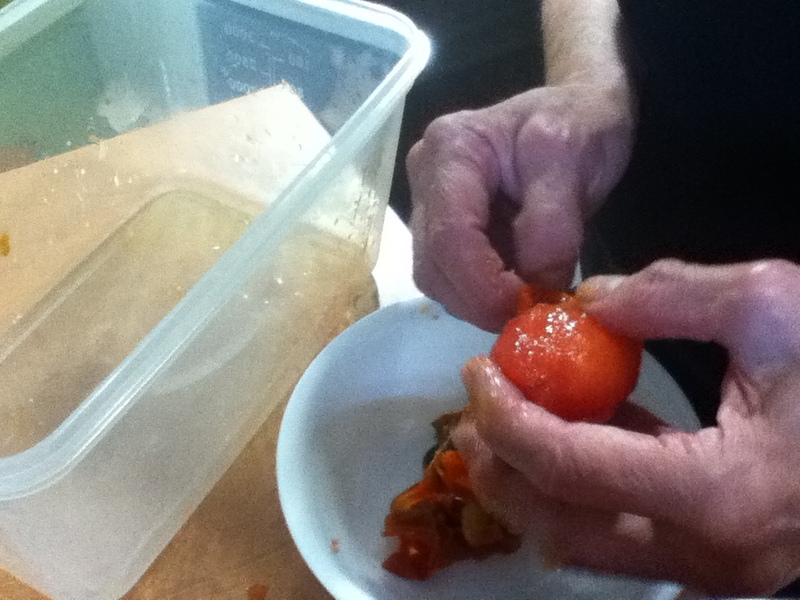 Here’s Mom peeling the tomatoes. Make a cross on the blossom end, toss a few into boiling water for 1-2 minutes then remove. Let cool and the skins will come right off. 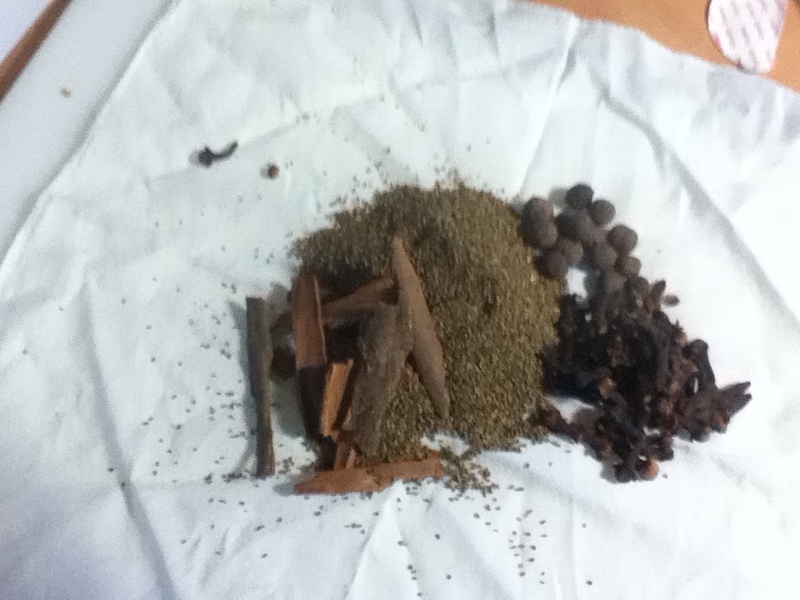 Meanwhile, we infused vinegar with spices. I wrapped them up in a clean white hanky and tied with cotton string. 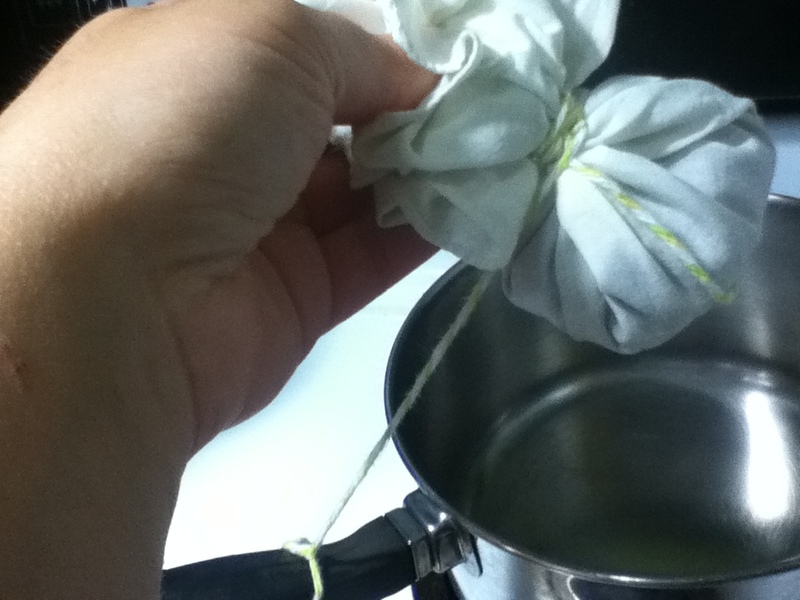 Tie the string to the pot handle so you can remove the bundle when the vinegar is ready. 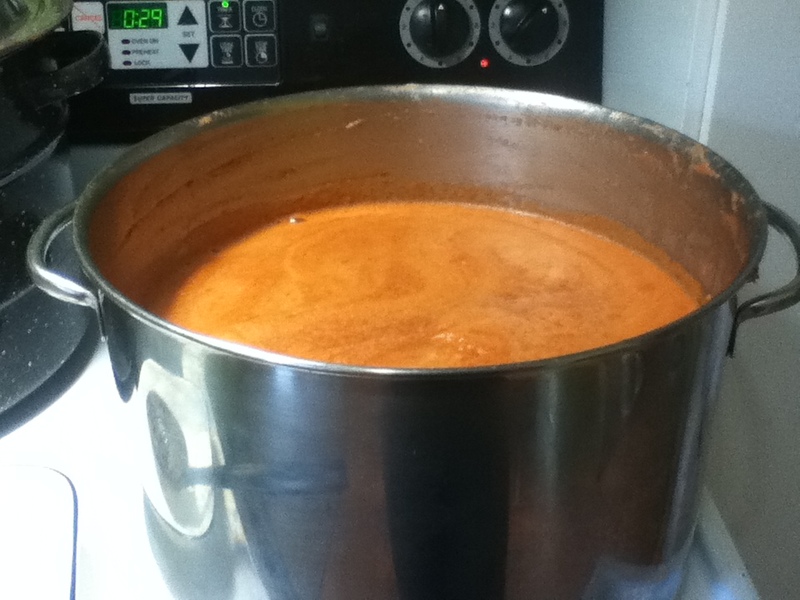 Spiced vinegar, tomatoes (with seeds strained out), salt, sugar and a little cayenne pepper simmer in a big pot. It started this full. 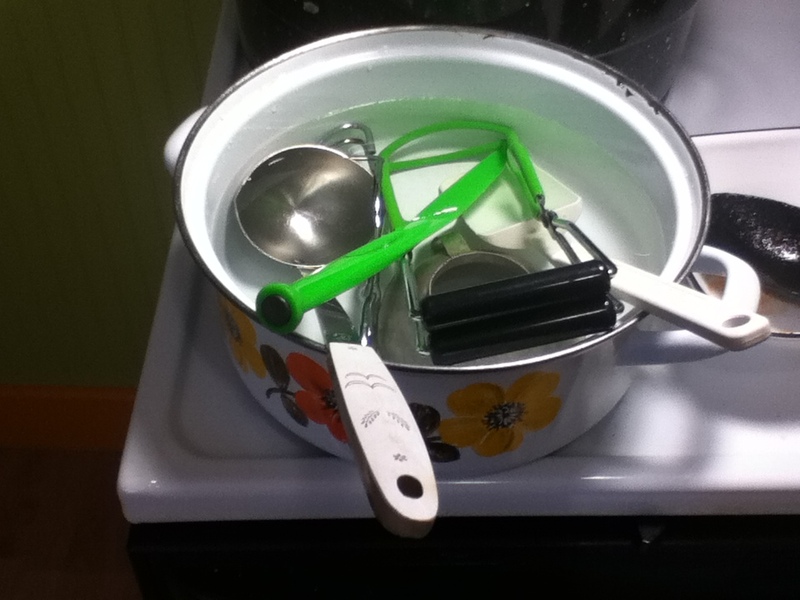 Here are all the tools getting sanitized in a boiling water bath. After about four and a half hours (remember-this takes time!) much of the water had bubbled away from the tomato mixture. Hot ketchup goes into hot jars with hot- not boiled- lids and rings. Then, 15 minutes in the hot water bath; start timing after the water hits a rolling boil. Out of the boiling water and all seven lids snapped. Almost done! After 24 hours, recheck the seals then label and date the lids. Remember- you’re not done until the dates and labels are done. This one uses a slow cooker. This one is a copycat of a name brand. Here’s another one that uses molasses, agave, and brown sugar. There are plenty more recipes out there on the web, so search and play around. (Unless you want to can the recipe. Never play around with canning recipes.) Part of the fun of being on a DIYet is trying different ways to make the foods your family likes- even ketchup. Give it a try!